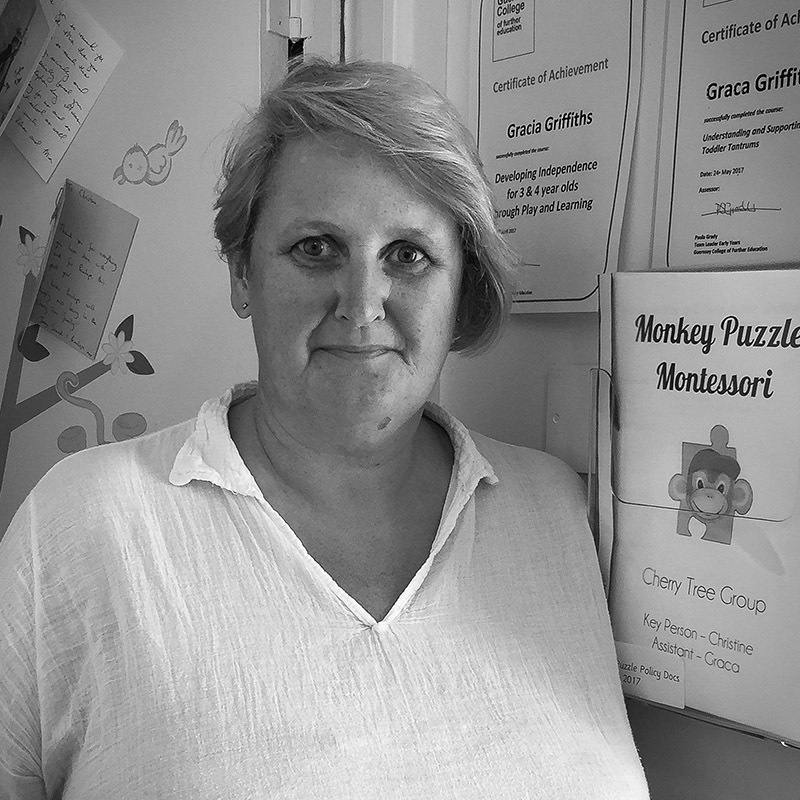 Christine has been with the Monkey Puzzle team since September 2002 bringing a wealth of experience after nannying for many families both locally and abroad for numerous years. She obtained an NNEB in Childcare and Education from Highlands College in Jersey in 1988 before returning to Guernsey. Christine works with the age group of 2-3 years and runs her own classroom helping the children to learn and grow both mentally and physically preparing them for Pre Reception life. She also has a keen interest in Children’s yoga, and obtained her qualification to be a childrens yoga instructor. You will often see her group in a range of yoga poses and practicing relaxation.